The US Department of Justice seeks answers in the wake of a nation-wide sexual assault epidemic on college campuses. This article was originally published by the The Daily Californian and is reposted here with permission. The U.S. Department of Justice is seeking new applicants to research how colleges experiment with methods of responding to campus sexual assault cases. The department’s National Institute of Justice, alongside the Office on Violence Against Women and Office of Justice Programs, is opening applications nationwide and will provide a grant for researchers to examine the handling of campus sexual assault complaints. 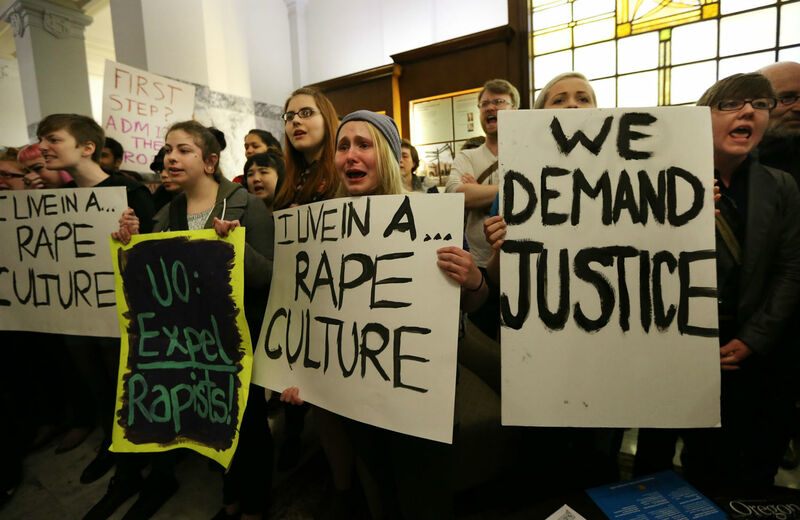 The justice institute hopes to shed light on newer, more promising methods of addressing sexual assault on college campuses, the proposal said. The program comes in response to the April 2014 White House Task Force Report to Protect Students From Sexual Assault, which advocated improved understanding of campus sexual assault investigations and adjudications on campuses. In May of last year, the White House released a list of universities, including UC Berkeley and three other California schools, under investigation for possible violations of federal law over the handling of sexual violence and harassment complaints. According to the proposal, applicants for the grant must be the entity with primary responsibility for conducting and leading the sexual assault research. Campus spokesperson Janet Gilmore and UC spokesperson Brooke Converse could not provide information on whether UC Berkeley, or any UC campus, will apply for the grant. In July, UC President Janet Napolitano assembled a task force on sexual harassment. In September, the task force presented to the UC regents its recommendations, which included the adoption of systemwide investigation and adjudication standards by July 2015. “There is an ongoing national dialogue on (methods of responding to campus sexual assault complaints) and it’s one of the issues being discussed by … Napolitano’s task force on sexual harassment and sexual violence,” Gilmore said in an email. Some students, including UC Berkeley junior Meghan Warner, director of the ASUC Sexual Assault Commission, are concerned with the dangers of campuses researching their own statistics. “It would be a waste of funding that would not help students,” Warner said. Nevertheless, others believe that applying for and receiving the grant could potentially supplement Napolitano’s current task force operations. Butler added that, provided the campus decides to apply for and receive the grant, there should be an additional layer of oversight and protection to the research to ensure that statistics are not deflated or inflated. Jessie QianJesse Qian is is an undergraduate student reporter for UC Berkeley's The Daily Californian.